From L to R: Mrs. Salila Tepkasetkul - Thai Trade Commissioner, Jamie Gibson - ATBC Vice President, Mr Chakkrid Krachaiwong - Consul-General of the Kingdom of Thailand, and Doug Blunt - ATBC National President (far left), celebrating the National Day of Thailand, 5 December 2018, at the Shangri La Hotel, Sydney. The Australia Thailand Business Council (ATBC) is the go-to body in Australia for access, insight and advocacy on Aust-Thai business. The Council works to build strong links between the private sectors of Australian and Thai businesses, as well as developing mutually beneficial relations with our respective governments. The Council works in close collaboration with key stakeholders, in particular, the Royal Thai Embassy in Canberra, the Thai Trade Commission, the Thai Board of Investment in Sydney, and the Australian Chamber of Commerce in Thailand (AustCham). 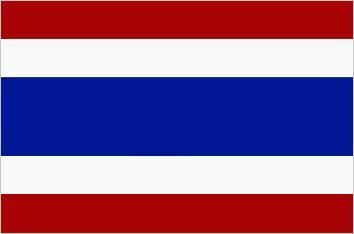 Australia and Thailand celebrated 60 years of diplomatic relations in 2012/13. The two countries are major trading partners, and trade has grown rapidly since the Thailand-Australia Free Trade Agreement (TAFTA) came into force in January 2005. Thailand is Australia’s 6th largest trading partner with two-way merchandise trade of $20.4 billion in 2017-18; Thai investment in Australia was $3.1 billion in 2017, with Australia investing some $4.5 billion in Thailand in the same period. Approximately 800,000 Australians visit Thailand each year and over 20,000 Thai students were studying in Australia in 2018. The Thai community in Sydney is the second largest expat community outside of Thailand. On 19 June 2018, the ATBC Executive had the pleasure of meeting Her Excellency, Mrs Nantana Sivakua, Ambassador of Thailand to Australia, at the Royal Thai Embassy in Canberra. Topics discussed included items of mutual benefit to both Thailand and Australia, with a focus on improving bilateral trade and business promotion. From L to R above: Assistant Secretary/Board Member - Peter (Pichai) Siripol, National President - Doug Blunt, Her Excellency - Mrs Nantana Sivakua, and Vice President - Jamie Gibson. On Wednesday 25 July 2018, the ATBC was proud to be a joint partner in the inaugural ASEAN Business Council's Networking Event held in partnership with Indonesia, Malaysia, the Philippines and the NSW and Australian Governments at the NSW Trade and Investment Offices in Sydney. Approximately 70 people attended the event from a wide range of backgrounds that included business, commercial, diplomatic, academic and trade attendees. Each of the 4 Business Councils gave short updates on their respective areas, as did the NSW and Australian Governments. A particular highlight was a presentation given by Dr Sandra Seno-Alday from the University of Sydney Business School, on various growth trends across the ASEAN Business Sector. The respective Business Councils agreed to capitalise on the success of this event with another event in the near future. From L to R above: the Consul-General of the Kingdom of Thailand - Mr Nathapol Kanthahiran, ATBC National President - Doug Blunt, Thai Trade Commissioner - Ms Salila Tepkasetkul, ATBC Assistant Secretary/Board Member - Peter (Pichai) Siripol, and ATBC Vice President - Jamie Gibson. Above: Dr Sandra Seno-Alday from the University of Sydney Business School, giving a very informative presentation on ASEAN trade and growth trends at the inaugural ASEAN Business Council's Networking Event (July 2018). Above: The ATBC Banner proudly on display at the ASEAN Networking Event (July 2018). Below: ATBC executives celebrating the National Day of Thailand with key Thai Government Officials - 5 December 2017, Sydney. What Thai Commodities are most prominent in Australia? APBC Free Franchising Seminar - 21 Feb. Hurry Book Now!